This plastic walk the plank method is great because it includes ramps, unlike other plank traps, and it also self-resets. It’s highly affordable and worth the try. Proven to work through a popular YouTube video, this rolling log does a great job of tricking mice into a bucket. It’s extremely easy to use. However, it does not come with ramps. Even though some people like to keep mice as pets, there are those of us who would prefer to keep them out of our home – and even off of our property altogether. While very small, the little rodents can cause loads of damage. Additionally, they can be dirty and can carry dangerous parasites and bacteria. Bucket traps are mouse traps that capture mice in a bucket, as their name suggests. These various methods are certainly off the beaten path, but they are effective. We have taken a closer look at some of these methods and listed our favorite ones for you to peruse. The premise of the RinneTraps Walk the Plank Mouse Trap is exactly as it sounds. Using the included ramps, mice will make their way up to the plank which is mounted on the side of a bucket. The plank is held up by a light magnet. Once the mouse reaches the plank, it will make its way to the end to get the bait that you previously placed. The weight of the mouse will cause the magnet to release, dropping the mouse into the bucket. The great thing about this plank trap is that the trap automatically resets itself after a drop. This allows you to set the trap once and walk away while it continues to do the work for you. You can catch several mice with just one setup. This trap can be used both indoors and outdoors and can be a catch and release method or a kill method. To use as a kill method, add water to the bucket. This ensures that the mice will drown when they fall from the plank. Either way, this method is mess-free and super easy. 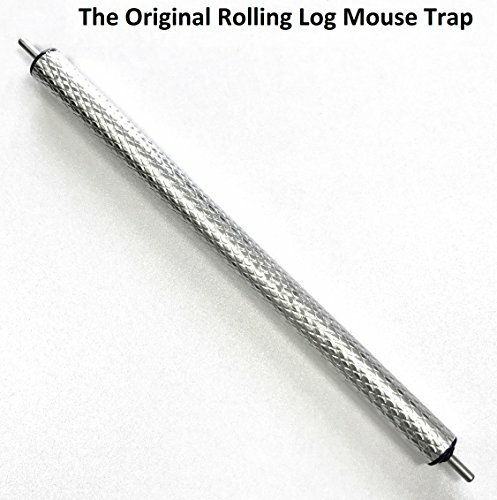 The Original Rolling Log Mouse Trap is an excellent way to catch multiple mice with just one setup. This light-weight roller is designed to sit on the edges of a five-gallon bucket. You will need to find two ramps that you will then set up at either end of the rolling log. Once these pieces are in place, simply place some bait like peanut butter at the center of the rolling log. Mice will find their way up the ramp and onto the log, where they will quickly roll off of and into the bucket. This trap can be either kill or no kill. For simple catch and release, leave the bucket as is. If you’re going in for the kill, fill the bucket with water. This trap is perfectly safe to use and set up and has no triggers, springs, or poisons. It makes clean-up very easy and mess-free. It is reusable over and over again has been proven effective to be multi-catch. There are many ways to get rid of mice, but sometimes the best first step is to get to know a little more about them. Mice are very common creatures. We find them scurrying across the floors of our kitchens, in our attics, digging through our gardens, and running through farms. They may be small, but the damage they are capable of causing is widespread. While some people like to keep them as pets, others like to keep them off of their property. There are many ways to get rid of mice, but sometimes the best first step is to get to know a little more about them. From there, it may be easier to decide which method is best for you. Read on to learn more about mice and how you can take steps to get rid of them. The most well-known species of mouse is the common house mouse. They are found all over the world and are usually five to eight inches long with hairless tails. They only live in the wild for about a year, but sometimes less. You can recognize them by their larger ears, light brown or gray fur, and small black eyes. Mice like to live close to humans because they often rely on us for food and shelter. During the colder weather, they tend to make their way inside homes for warmth. They will construct nests in small, dark, quiet spaces. 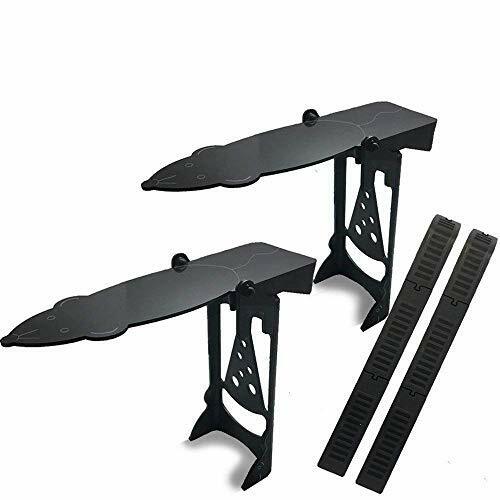 These can be between walls, in closets, attics, storage areas, and more. While mice are naturally herbivores who eat seeds, grains, fruit, and vegetables, they are also opportunists and scavengers. Since they live in such close proximity to humans, they will eat any scraps we leave behind. Mice are most active at twilight or during the night. They typically confine their activity to a close range of their home. As young as six weeks, a mouse will begin reproducing. Females give birth to litters that are five to six babies large. They may have as many as ten litters each year. There are several different kinds of mouse traps that exist today. We have come a long way since the original wooden mouse trap, and now we have many options to cater to our unique situations. Aside from the bucket traps we have discussed here, check out some of these other options. Electric mouse traps are a method those who want to kill rodents use. These kinds of traps deliver a powerful surge of electricity to shock mice, quickly killing them. Although not everyone wants to kill the animals they catch, it is nice to know that these shocks rarely cause the animals any pain – they work fast enough that the mice don’t feel anything. Plastic snap traps are just like the original wooden snap traps, but better. The wooden traps are hard to set and break easily. Typically, when the wooden traps caught something you would just throw the whole trap away. The plastic traps are much more durable and are reusable. The plastic versions are known to close much faster. There are few different kinds of traps that fall into this category. Even the bucket traps can be categorized as catch and release. Traps that fall here are things like Havahart cages and plastics traps. These are all great humane options for anyone who wants to catch the mice in their yard and relocate them instead of killing them. Glue traps are basically boards or sheets that have an extremely sticky side where you literally catch mice. Some of them are scented with smells like peanut butter to attract mice. Once they step on the sticky substance, they are stuck for good. The idea here is that once they get stuck, you just throw the entire trap away with the mouse. This is a fine way to catch mice, however, it’s meant to kill mice through starvation, which isn’t very humane.